Patrick (aka Nitro) sent me this lovely pic of the nice bling Santa brought him. 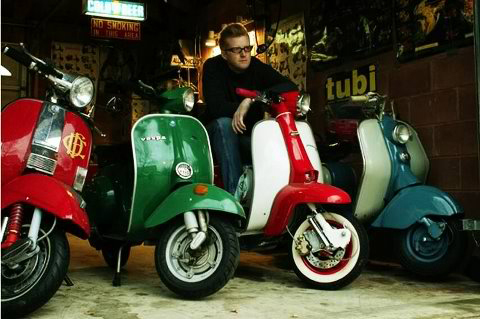 Located in Chicago, Patrick’s part of “The Magnificent Seven” scooter club which is Lambretta focused. 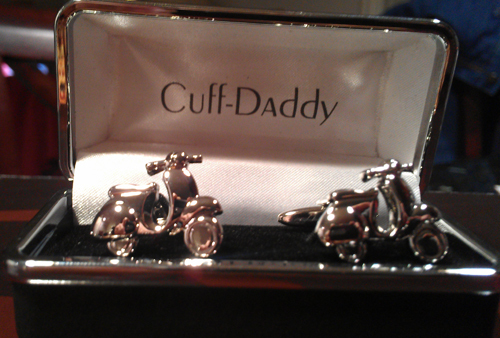 This entry was posted in Holiday, Jewelry, Miscellaneous and tagged cuff-daddy, cufflinks, scooter, silver, vespa by Tracy. Bookmark the permalink.